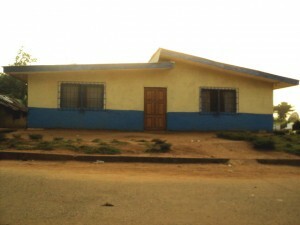 Dapae + Rita’s Home for Orphan Children is completely finished! This is a 1,223 sq. ft. four bedroom home, with 2 bathrooms, a large living room and dining room. 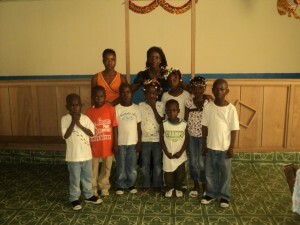 These children are doing so well and are blessed to have such amazing parents. The House is painted inside and out. Dapae’s family of 10 with others they help. Rita with the children, inside the house. 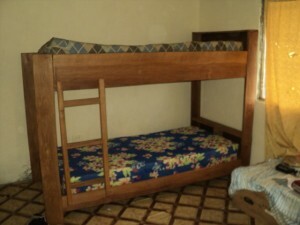 Rita Bobby squatting in a new bunk bed. First bunk bed, complete with mattresses. Dapae, Rita and family inside their church. 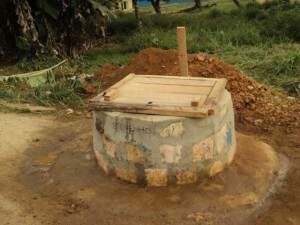 The new well just dug last week. Beatrice Constance inside Rita’s clothing store. What a happy family! The children sang for me, over the phone, at Christmas! What a joy to hear their happy voices. I only wish every child in Africa could be a part of such a caring family. These kids are loved!! !It shows by their smiles!! Thank you to everyone who contributed to the building of this home. Also for your ongoing monthly support for the children. 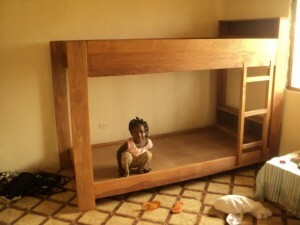 Dapae + Rita are doing well in their business, and bit by bit, we are getting the furniture for this home. Our next purchases will be 4 more bunk beds, with 8 single mattresses, a dining room table with 12 chairs, and a bed for Dapae + Rita. Dapae and Rita distribute rice each month to 75 widows, who meet at their church for a Bible Study and worship. 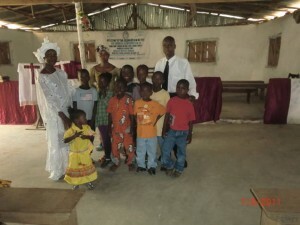 They are shining lights in their community, reaching out to needy orphans and widows. What a beautiful,rich colored house!I love it! So happy that i had a little part in making this happen. Our father in heaven must be smilling. 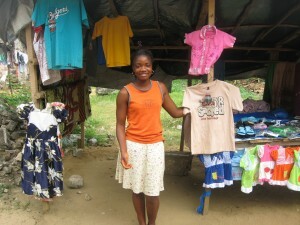 Elisabeth, It’s partners like you, who bring so much light and hope into a very dark and oppressed world! You are bringing Hope and a Future to many people. God bless you’re generous heart! Provision of Hope makes every single dollar count. 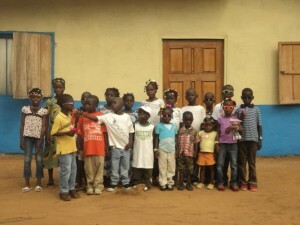 Wonderful….such a transformation for these little ones! Praise be too God…abundant blessings Karen! Yes it truly is! I pray we can keep finding loving, caring Christian parents, like these, who are called to this!! Orphan kids are everywhere!! down on you…. Jesus is really close to the orphans and the widows, and blesses those who give to the poor! That’s you Shell! What a wonderful ministry to be a part of. There is great joy in heaven when healing comes to the widow’s and the orphan’s heart! The children look cool and very well looked after. the Lord continue to bless this powerful ministry. I’m thanking God for you and your generous heart towards the poor and needy. “As much as you have done it unto one of the least of these, you have done it for Me” words of Jesus. The love of God is upon his children for he cares about his children that he will never leave them or forsake, i’m so excited and feel blessed. Nice and wonderful house with beautiful color, Our father in heaven is so excited for all you are doing and the children look happy. God’s favor is on the orphan….the fatherless! He is very close to them. Keep up the great work Karen. These photos speak volumes of how the LORD can BLESS through others. Much Love, Blessings & Prayers. Thankyou Bob & Lynn! You have been a big part of our work! Blessings back to you! !